I Have Metastatic Breast Cancer: What Is My Prognosis? Metastatic breast cancer generally means that the cancer has spread beyond the breast and nearby lymph nodes under the arm. For approximately 10 percent of women with breast cancer, the disease has metastasized when they are first diagnosed, but metastatic disease can also occur when cancer returns after previous treatment. Rachel Freedman treats patients with breast cancer, focusing on the care of older patients and reducing disparities. The prognosis is not the same for all metastatic breast cancer patients and can vary tremendously based upon multiple factors, including your breast cancer subtype (such as estrogen receptor [or ER] status and human epidermal growth factor receptor [or HER2] status), the degree of involvement in your body, how you feel, and even the timing of diagnosis. Although metastatic breast cancer isn’t typically curable with today’s treatments, many patients can live well and feel well for a long time and can often have a relatively normal life while receiving treatment for their disease. Rather than surgery, treatments focus on the body’s “entire system.” These therapies include medications like hormonal therapy (letrozole, tamoxifen, and others), chemotherapy, and targeted therapies such as trastuzumab (Herceptin) and pertuzumab (Perjeta). We have many clinical trials, where promising new medications are being studied, at Dana-Farber for patients with metastatic disease. The options depend on the type of breast cancer and the previous treatments you have received. We have seen multiple new therapies approved by the FDA in recent years and there will be many options to consider over the course of one’s disease. Although they tend to continue without a definite endpoint, treatments are selected carefully to maximize your quality of life and minimize side effects and symptoms from cancer. All of these issues are important to discuss with your care team throughout your care. There are many exciting things going on in the field of breast cancer right now and we have much hope that we will continue to improve the lives and longevity of patients with metastatic breast cancer over time. 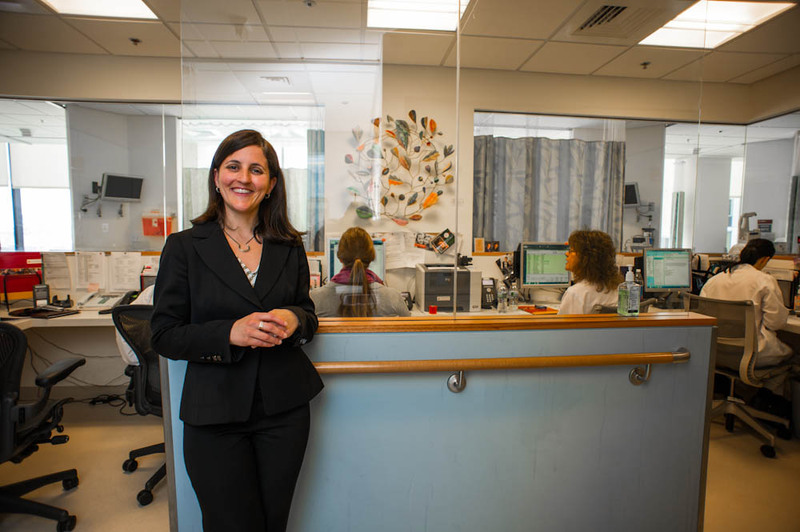 Rachel Freedman, MD, MPH, treats patients in the Breast Oncology Program at the Susan F. Smith Center for Women’s Cancers at Dana-Farber. Her research focuses on disparities in breast cancer care and the care of older patients with breast cancer. She is a member of the Cancer Care Equity Program at Dana-Farber, which seeks to end such disparities by reducing delays and obstacles to effective treatment. She also leads several clinical trials and is interested in developing novel treatments for breast cancer. Praying for all those whose families are going through this. I hope they find a treatment to successfully battle this. I lost my mother to this last year when it moved to her brain and lungs.